HYDERABAD: TheTechFest 2017, touted to be India’s largest Technology and Career Conference specifically for Students to be held in JN Auditorium, JNTU Hyderabad on September 17 and 18, has caught the fancy of Gen X. The goal of the fest, the organisers say, is to spread the awareness of disruptive technology, scientific & design thinking and innovation at every level. With a footfall of 5,200 people visiting in three days, it is regarded as one of ‘India’s Largest Technology and Career Conference for students’, they say. Disclosing this in a press note issued in the city today, Manoj Raj. D, Founder of TheTechFest said, “It is the platform for students to learn, experience and connect with the latest technologies and meet experts and mentors from diverse industries. The theme of the Test is “awaken the future”, where students are introduced to the various aspects of technology and distruptive thinking and also celebrate technology. The event is for students who aspire to make an impact and create a dent in the universe and will remain the same throughout. “We did not have a platform when we were studying engineering and I always believed there was more to it than just running the EngineersHub website. 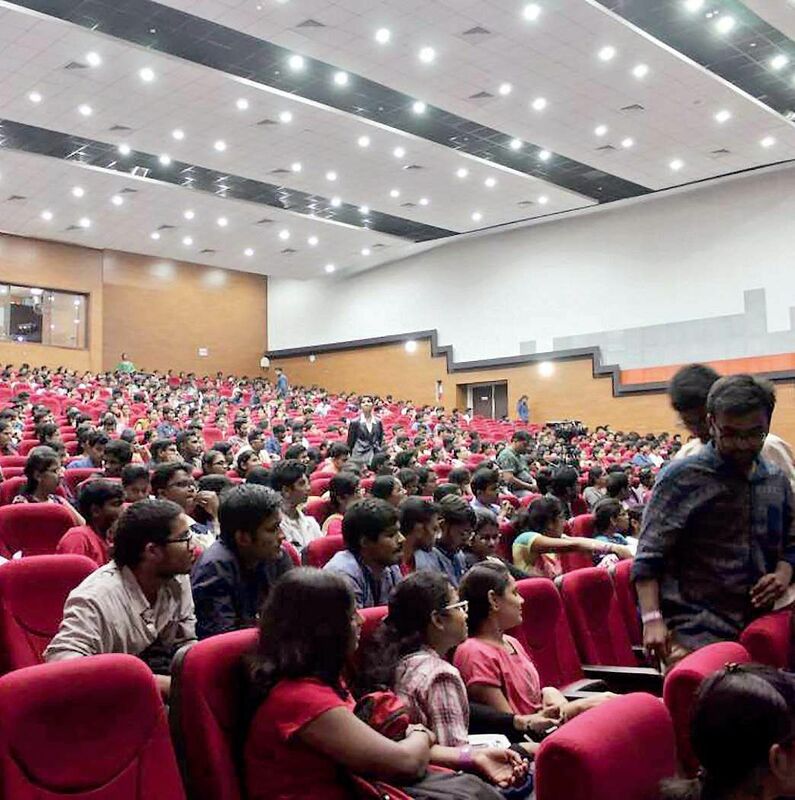 TheTechFest was born out of the simple idea of connecting, creating and achieving a common technical consensus among students to create the future that they dream of and wish to live in”, says Manoj after successfully running EngineersHub for 7+ years and giving internships to more than 100+ students during this period. TheTechFest 2017 is organised by EngineersHub in association with CDK Global and Facebook. The event is entirely volunteer driven. Student volunteers from 100 plus colleges, people who are woking in companies like Amazon, EngineersHub, Whacked Out Media, Mivo Group are also helping to make the conference a great success. The best technology experts from around the world who will address various sessions include Martin J Aichmayr, Former General Manager, Date Centers, IBM Germany; Arjit Bhattacharyaa, Founder & CEO of VirtuallinfoCom; Abhijith Naraparaju, Region Head, Blockchain Education Network; Dr. Vikas Kumar Saxena, Director of DRDO. Sharing more details, Sreerag Nambiar, Head of Operations of TheTechFest informed that the two days event this year will host 20 speakers from diverse technologies all around the world, 5 Technology Experience Zones, 16 plus Workshops, 10 plus Student Prototypes.